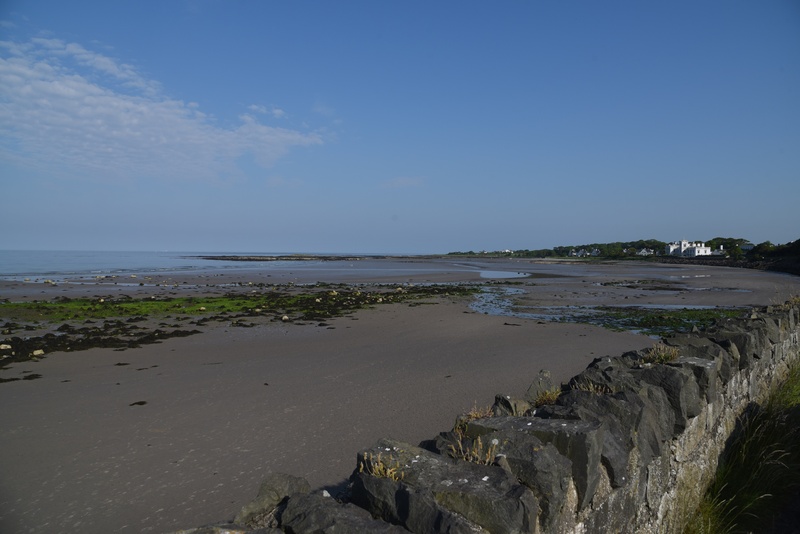 Today’s townland is Drumfad, on the Ards Peninsula in County Down. South of the village of Millisle, the shoreline of the Irish Sea curves round Drumfad Bay through the townlands of Ballymacruise, Ballyrolly, Drumfad, Ballyhaskin and Ballywhiskin. The most striking building in Drumfad townland is Woburn House. 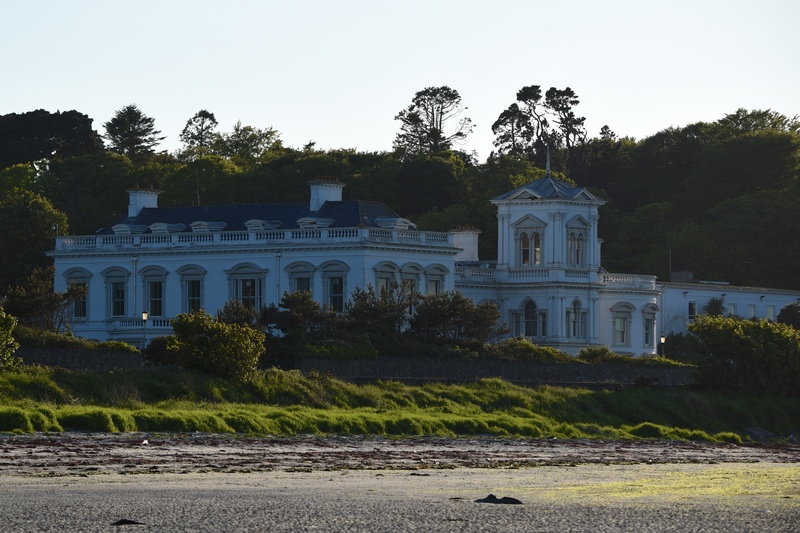 This house was built in the 19th century for the family of John Gilmore Dunbar, a wealthy mill owner and the landlord for the tenant farmers of Drumfad and Ballyrolly. The estate was inherited in 1846 by George Orr Dunbar, twice Member of Parliament for Belfast and Belfast’s first mayor. In 1956, Woburn House was bought by the Northern Ireland Ministry of Finance and converted to a boys’ borstal. More recently, it was a training college for the Northern Ireland Prison Service. I don’t know what its future use will be. 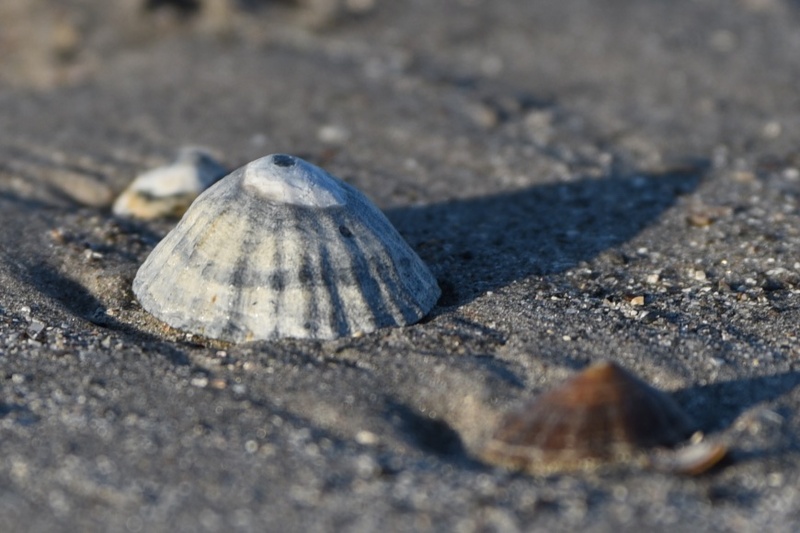 Thankfully, my visit to Drumfad didn’t involve detention of any kind, just a free stroll along the beach on a summer evening when even the shells had long shadows. The northern boundary of the townland of Drumfad is Woburn Road, which branches off the main A2 coast road between the houses and trees in this photo. The southern boundary of the townland runs along Drumfad Road. 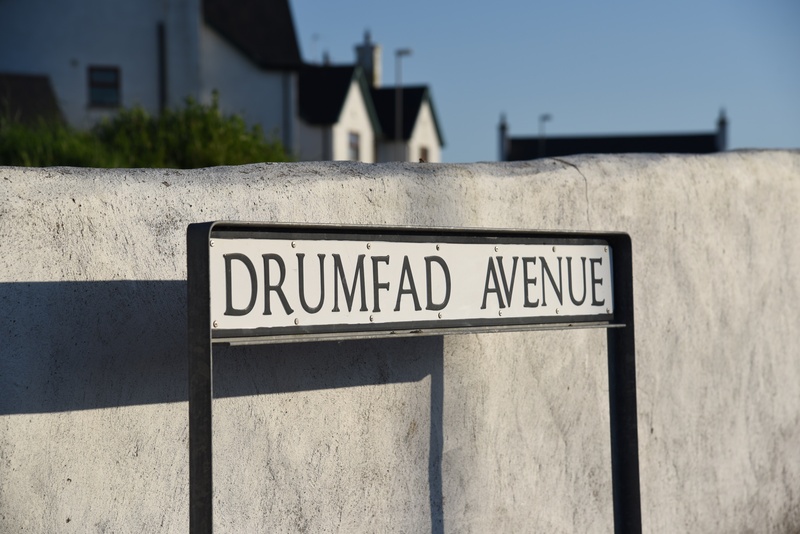 According to the PLACENAMESNI website, the name Drumfad comes from the Irish An Droim Fada meaning “long ridge”. 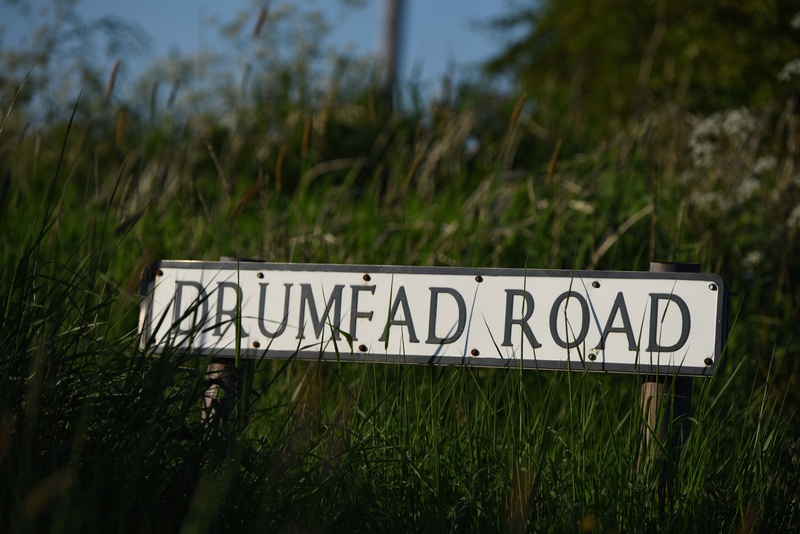 Drumfad also appears as a townland name in Donegal, Tyrone and Sligo. Closer to home it has been used for this new housing development in the neighbouring townland of Ballyrolly. 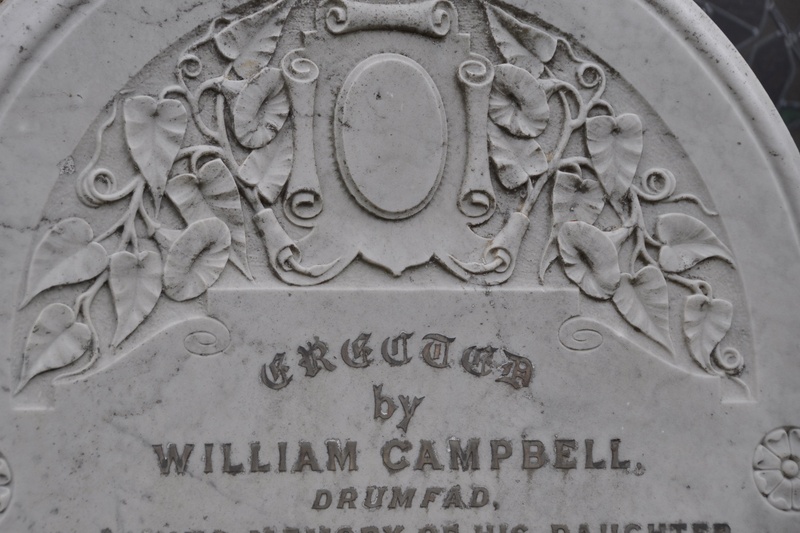 On another day out on the Ards Peninsula, I found Drumfad engraved on several headstones in Carrowdore churchyard, for the Geddies, Campbell and Burch families. Click here to read more about Woburn House and the Dunbar family. 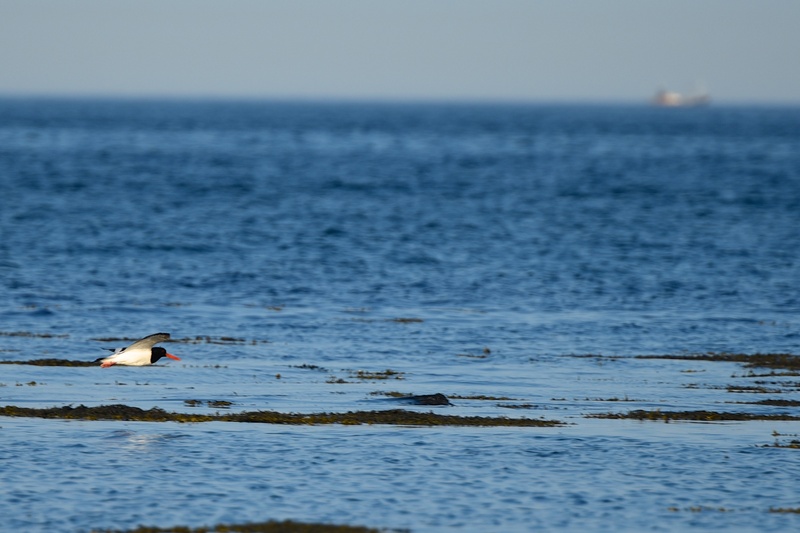 Click here to for a link to a Walking Guide to Millisle. 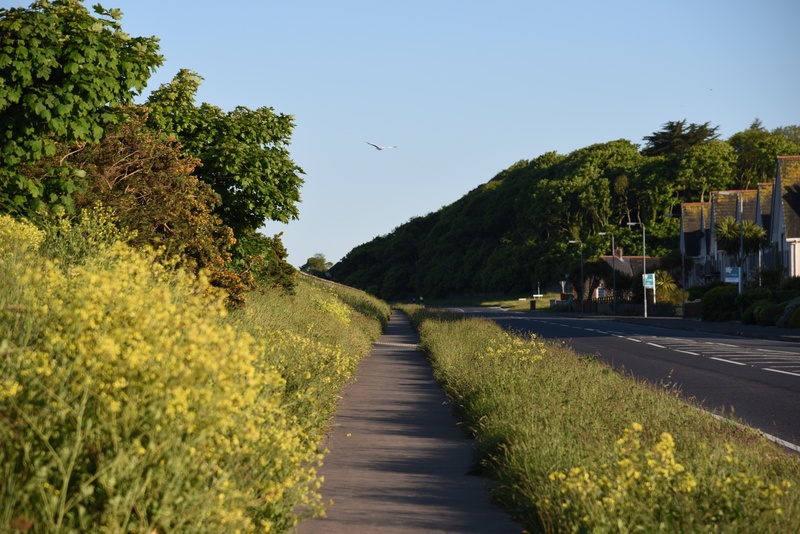 Which townlands border Drumfad? To the north, Ballyrolly. To the east, the Irish Sea. To the south, Ballyhaskin. To the west, Ballyrawer and Ballyfrenis. Click here for a map of Drumfad on Townlands.IE. Lovely photos as ever. Your blog posts are like an oasis of calm in my inbox and give me such pleasure. I always read even if I don’t always comment. Gorgeous! I want to take a walk along that path. Very interesting. 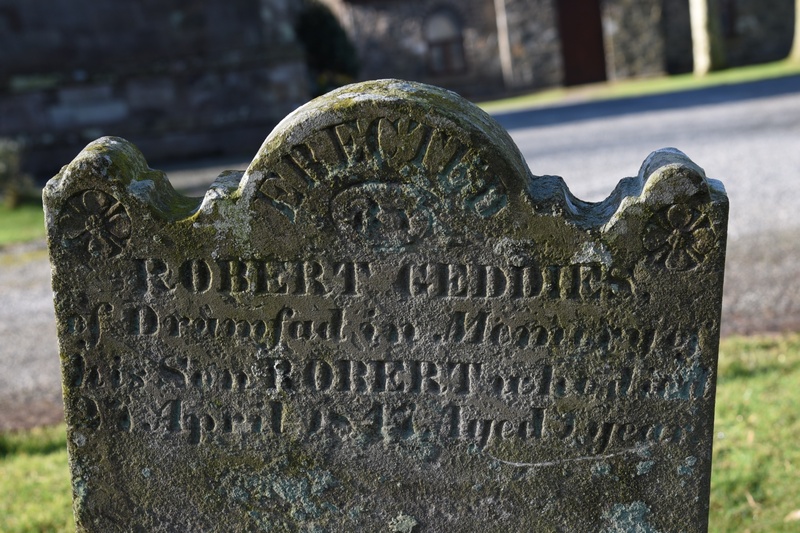 I believe the Robert Geddies that commissioned the headstone was my 3rd great grandfather. 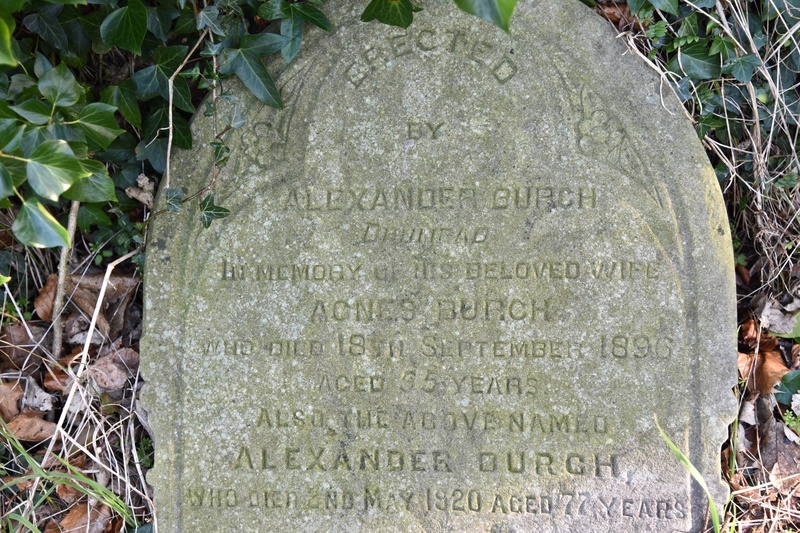 I’m pleased that I’ve been able to show you the Geddies headstone. 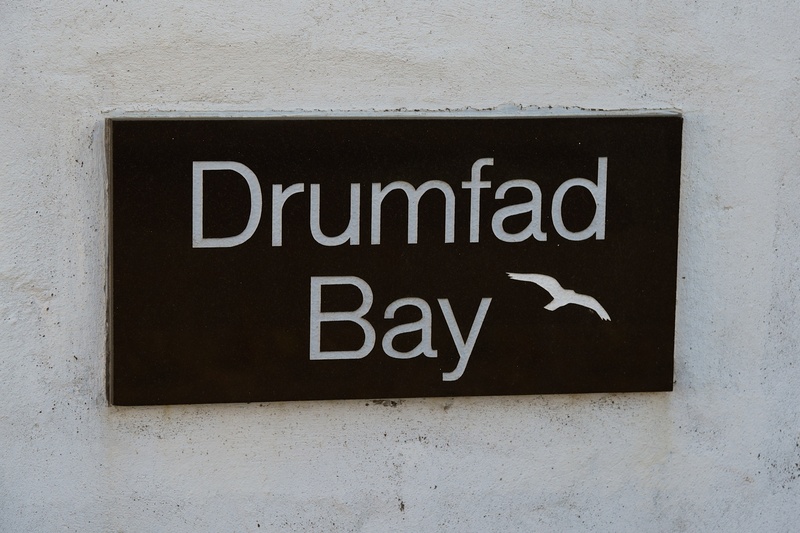 Do you still live locally in Drumfad or has the Geddis family spread far and wide?